Justin Small, chief strategy officer at The BIO Agency, discusses creating successful integrated places of the future. Digitisation continues to transform our world, circumventing or dissolving the conceptual barriers between physical and digital spaces. This has huge implications for retail spaces, from store to supermarket, and from the high street to out of town. 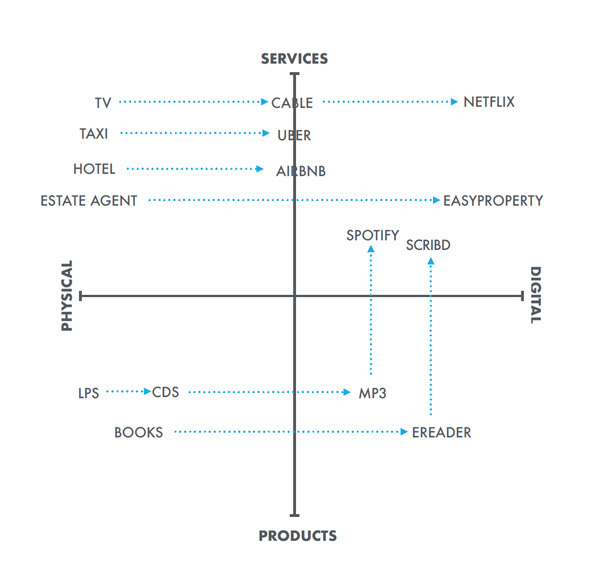 Whether products or services (or all the kinda-in-between stuff), the trend is moving from physical ‘thing’ to digital service. Despite investment in online services, improving convenience and speed of service for customers, an increasing number of retailers are seeing falling profits. Mothercare and H&M are just two of many reporting a significant slow down in sales last year. Data analytics firm Springboard has found a 3.5 per cent year-on-year decline in footfall in December 2017, the largest decrease since March 2013. 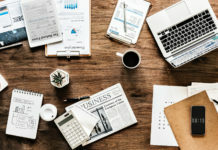 Customers’ expectations and demands are keeping pace with technological change, but retailers seem to be lagging behind. Retail – or at least the high street – is going through an existential crisis, with retailers failing to create digital places and omnichannel experiences that bring customers back to shop with them, online or off. 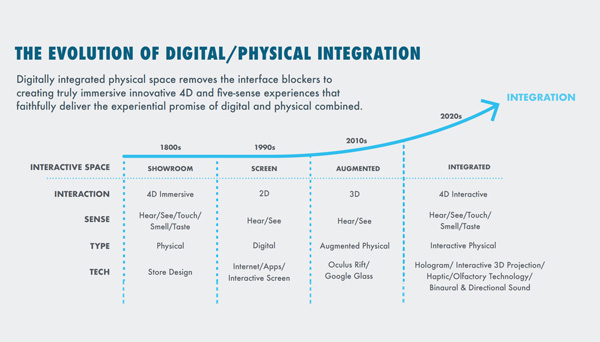 Increasingly, we understand the importance of merging the digital and physical worlds. But integrating digital into your retail strategy is not just about creating an online-only experience. It’s not about simply replacing traditional practices with the newest digital developments, but instead ensuring that these worlds mingle freely. The loss in high street profits and growing customers’ confidence in online shopping and digital points of contact puts emphasis on an integrated practice. ‘Digital placemaking’ is one way to make it happen. While the term placemaking has been around for many years, its application in digital is relatively new. The key strength of placemaking lies in creating environments that people want to come back to. Creating a sense of place, not just a space. Digital placemaking is based on the same principle. It’s the process of creating a personal and meaningful digital place – spanning both private and public digital realms – that delivers human value and communal identity through interactive digital actions. We care about digital places (as distinct from digital ‘spaces’) because they’re active, relevant and personal. By contrast, a digital space is empty, insecure and anonymous. The retail industry should strive to create integrated spaces that supersede and combine the current siloes of physical and the digital. The focus should be on an experience strategy that rests on the ability to create places that are physically and digitally integrated. It’s only this – done right – that can produce ‘place attachment’, a meaningful bond between person and place. 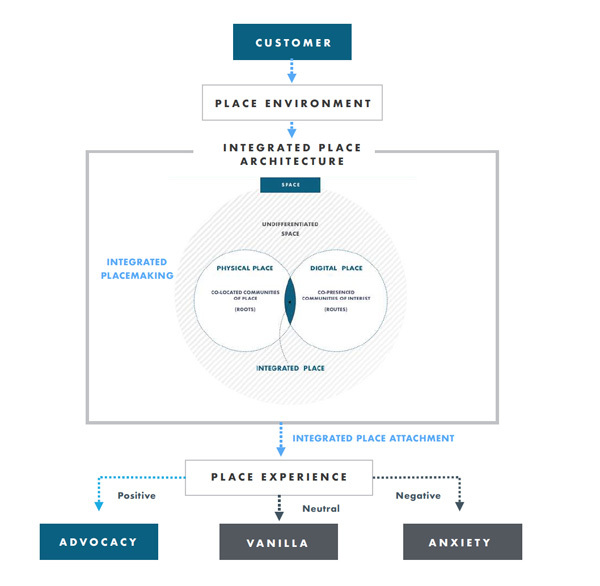 What we call ‘integrated placemaking’ creates meaning through a combination of digital tools and data with unique personal physical experiences. Take King’s Cross Granary Square’s most popular attraction – the water fountains – as an example. 1,080 choreographed jets, each individually controlled and lit. The jets squirt and splash in patterns, surprising and delighting kids of all ages. To make it even more fun, they developed an app where you could control the fountains to recreate the old-school Nokia game Snake with up to eight players. A great case study showing how brands can reinvent a potentially indistinguishable physical space and turn it into a place to remember. Their digitally-enabled strategy is helping to transform King’s Cross Granary Square into one of London’s favourite spots. While gamification may not be a suitable choice for all, there are many other examples from public and civic places that retail brands can take notes from. The TATE’s app helps you make the most of your time in the gallery, with light-touch storytelling throughout to help you learn and discover more about art, artists and the TATE. A slightly different, perhaps more brand-building example is Pavegen’s paving slabs that generate energy from people’s footsteps to power the surrounding infrastructure. One installation of this tech that’s delivered real meaning is a football pitch in a Rio favela; lit at night by the energy generated by the player movement. 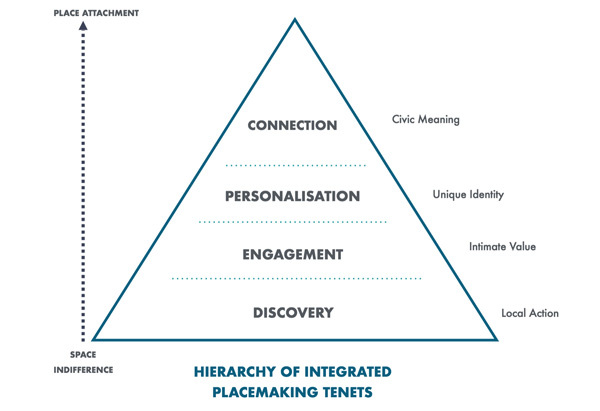 Whether it’s for the retail sector or public spaces like parks or museums, building towards place attachment requires four stages – discovery, engagement, personalisation and connection. We believe that the commercial capability to envision and execute integrated place attachment will become a key brand differentiator in a fiercely competitive experience-led market. So how can retailers learn from iconic places brought to life by Pavegen, TATE, or King’s Cross Granary Square to create meaningful digital places that shoppers would want to come back to? Creating an effective omnichannel strategy which uses data to develop true personalisation and predictive analytics are some of the key practices that should be used to transform spaces into meaningful places. Retailers should start thinking about enhancing the entire brand experience, not solely the website UX or the in-store experience. Look at NIKE’s New York store that offers three immersive experiences that let customers try out sports products while running or playing football or basketball in life-size spaces that bring the outside in. Everything is connected, so customer movements are tracked by cameras, which then feeds into the Nike+ app. Staff can see when a customer last tried out the experiences and what shoes they were wearing, and can personalise the sales process accordingly. While the digitalisation of our physical places is evolving fast, the physicalisation of our digital places is just beginning. So what about online retailers? Recent examples are already showing a high impact of digital placemaking in enhancing the shopping experience and building the integrated community around online shops. Made.com extended its online-only proposition with a new concept in lifestyle showrooms. Lacking typical wall projections or furniture to display products, the showroom offered tablets and NRC-chipped products to give customers an easy access to information and enable scrapbooking of products to a wish list people can access later. The in-store iPads reportedly delivered a 40 per cent-plus adoption rates with people who used them at the showroom, and later interacted with the retailer online. 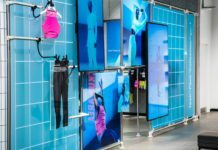 Whatever the type of the retailer, one thing is sure – the convergence of online and offline experiences will lead to a more holistic shopping proposition that seamlessly transition between the digital and physical outputs. Customers now expect their digital and physical worlds to collaborate and learn from each other. They expect them to deliver better, seamless, personal experiences. Digital is not bound to the screen – it is now judged by how well it accentuates and improves our physical world. Focusing solely on the website UX or the in-store experience will not be enough anymore to create rewarding interactions and meaningful places that build customer loyalty. Could intelligent analysis provide the antidote to pressures on retailers?